Government figures on prisons point to the "disturbing reality of prison life with escalating levels of distress, self-harm, homicide and violence," UK justice activist said in response to fresh report on British prisons. New data released by the Ministry of Justice exposed the depth of the prison crisis in Britain. New record high levels of self-harm incidents and assaults, prisoner-on-prisoner assaults and assaults on staff were reported in the Safety in Custody Statistics for England and Wales latest report. While the number of overall deaths has reduced since 2016, the figures for Britain are still historically high. In the year to September 2018, there were 325 deaths in prison custody, which constitutes an 8% increase from the previous year. There were 87 self-inflicted deaths, up from 78 in the previous year, 4 of which occurred in the female estate, compared to 5 incidents in the previous 12 months. 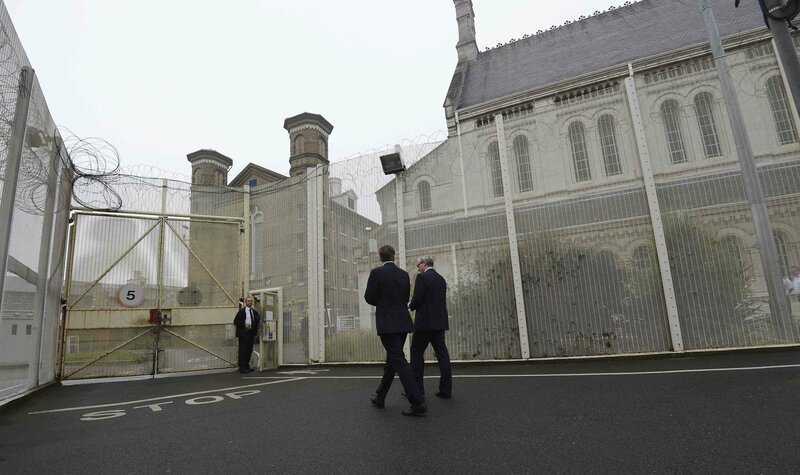 Commenting on the figures, Peter Dawson, director of the Prison Reform Trust, said there was "no end in sight to the catastrophe" that engulfed many of Britain's prisons. "The government has recruited more staff and spent money on security. But so far it has only talked about reducing the number of prisoners the system holds. That needs to change, with action for the short and long term which will bring the prison population back down to a level where safety can be restored," Mr. Dawson added. In July, the Justice Minister David Gauke announced a £30 million investment to tackle organized crime behind bars and resolving maintenance issues plaguing prisons. However, the most recent data showed a decline in prison stabilization and prisoners' well-being. Particularly, 49,565 reported incidents of self-harm (a rate of 585 per 1,000 prisoners) was shown by the new report. The figures indicate a 20% increase from 2017. "While self-harmers in female establishments were, on average, involved in twice as many incidents as those in male establishments, the proportion of incidents that required hospitalization was higher in male establishments, at 7.3% compared to 2.1% in female establishments," the report said. A new record high level of prisoner-on-prisoner assaults has been reached in the 12 months to June 2018, which would equal to 277 per 1,000 prisoners. Assaults on staff (9,485) were up 27%, while the category of ‘serious assaults' saw a 7% increase (3,951 cases). "Serious assaults are those which fall into one or more of the following categories: a sexual assault; an assault which requires detention in outside hospital as an in-patient; requires medical treatment for concussion or internal injuries; or incurs any of the following injuries: a fracture, scald or burn, stabbing, crushing, extensive or multiple bruising, black eye, broken nose, lost or broken tooth, cuts requiring suturing, bites, temporary or permanent blindness," the report explained. The criminal justice system cannot deal with societal problems of mental and physical ill heath, drug misuse and poverty, Deborah Coles, Director of charity INQUEST said in response to the report by the Ministry of Justice. "The number of deaths awaiting classification in this period has more than doubled with the majority of people found unresponsive in their cells. The undetermined nature of these deaths raises questions as to whether they are drug related or due to undiagnosed or untreated health conditions," Ms. Coles added. A high number of deaths were awaiting further classification, the report said. In some cases, the results of the toxicology and post-mortem tests are inconclusive, which prevented experts from classifying death causes. Unsanitary conditions, surging levels of violence and illegal drug trade has led to dangerous trends developing in British prisons. Filming beating of prisoners who owe money for drugs or misbehave, according to their attackers, has been reported in several UK prisons. Last year, British parliamentarians blamed record levels of self-harming in prisons on "deep-rooted failures" and a lack of government funding.